The Chicago Bears will once again wrap up the preseason slate against the Cleveland Browns, and even though most of the starters won’t be taking the field for the contest, there are still plenty of players to keep an eye on when the two teams take the field. Here are our five players to watch for the game. While Shaun Draughn still has the inside track at the back-up running back position, Carey is still going to have an opportunity to strut his stuff in this game. He hasn’t reeled off a signature run yet in this preseason, but in camp he showed a great ability to catch the ball out of the backfield, and David Fales could use him as a security blanket in that regard. If he can make plays off those passes, or even bust a run or two, he could earn himself more snaps in the regular season. Fales is likely going to play the entire game, and he’s really going to have an opportunity to secure a spot on the 53-man roster. He is clearly viewed as a developmental piece for the Bears, and this game will give him a chance to show off what he’s learned. His game management is worth watching here, and if he can utilize the weapons of the offense, it should give the Bears more confidence in their sixth round pick. Lynch likely isn’t going to make the Bears’ roster, but he could earn himself some calls from other NFL teams with a good performance in this game. He has worked exceptionally hard in training camp and in the practices leading up to this game, so it will be a nice reward for him to get some extended playing time. It’s unclear on how much McClellin will be on the field for this game, but if the Bears were smart, he’d be on the field for just about every defensive snap. He needs all the reps he can get at linebacker, and a good performance in this one would fit into the “progress” narrative that Marc Trestman and Mel Tucker have been spinning about him. 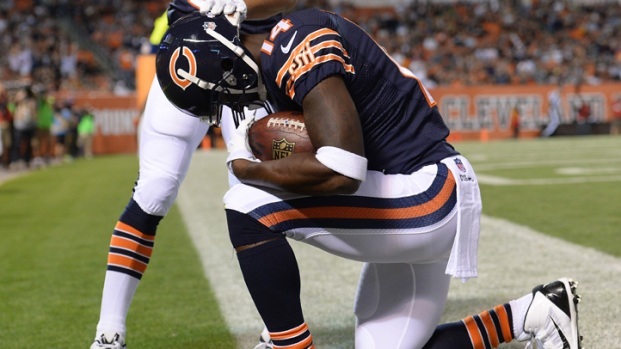 The Bears need someone to step up and grab the kick returner job, and Williams might be just the man to do it. His hamstring tightened up last week when he was warming up against the Seattle Seahawks, but if everything goes to plan this week, he should be at full strength as he tries to secure a roster spot and an important gig with the team.